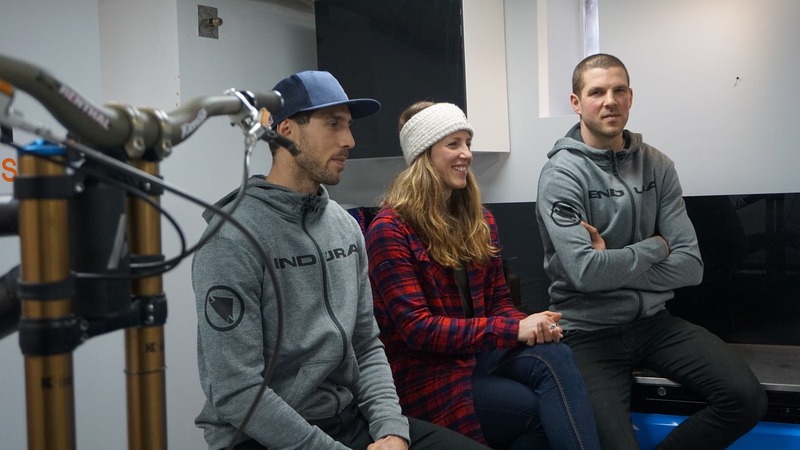 We visited Atherton HQ where Andi had an exclusive interview with Rachel, Gee and Dan about Atherton Bikes. So it wasn’t Marin, Norco, YT or Merida. No, today’s news is much more exciting than that. 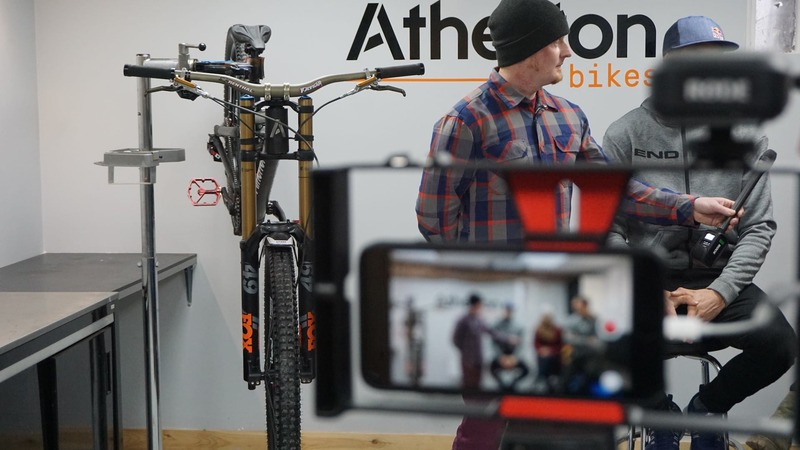 If you missed the official Atherton Bikes Press Release take a look here, but for those of you eager to delve into our Atherton Bikes interview, here’s a quick intro. I guess they have a pretty good reason to be smiling. While the internet was set ablaze with rumours discussing where Atherton Racing would end up for the coming season, Rachel, Gee and Dan were all secretly working away on their most ambitious project of their career. 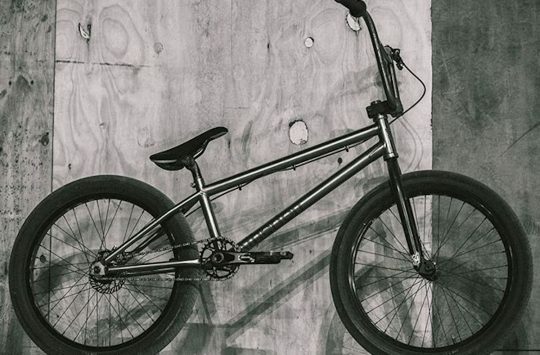 Rather than teaming up with another frame supply and help that brand out with development, marketing and sales, the Athertons decided to apply what they have learnt over the years and create their own bike brand, Atherton Bikes. Atherton Bikes is made up of the talented trio, the team at Atherton Racing, Dragon’s Den investor Piers Linney, and Ed Haythornthwaite and other ex-Robot Bikes engineers and designers. The Atherton Downhill bike is still top secret but we can show certain areas of it. Yes, you read that correctly. 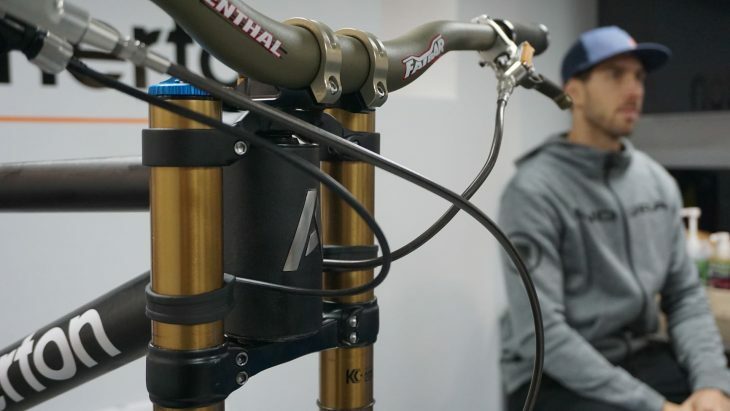 The Athertons will be racing on 3D printed, additive manufactured, Titanium lugged bikes with bonded carbon tubes, and all currently made here in the UK. It’s very very exciting, and very different news to what many online commenters were expecting. Below we have the interview transcript from our visit to Atherton HQ yesterday. You’ll notice that we don’t talk about the upcoming Atherton Racing team, team sponsors (although you’ll see a few on the front of the bike), and we don’t go into too much detail about the bike, because we weren’t allowed. We were really lucky to even have the bike in the video intact. It’s a 29er, but we don’t know if we can tell you much more. But read/watch carefully and you’ll uncover some clues as to what we can expect from Atherton Bikes over the coming season and beyond. Atherton Bikes Interview: Rachel Atherton, Gee, and Dan tell us about their latest project. Rachel: Big, big exciting day. Andi: What is the big news? [Laughter]. Gee: No more a secret. It is the day we announce the launch of Atherton Bikes. Andi: Hey everyone, Andi here from Singletrack Magazine and I’m here with the Atherton’s because you’ve got some pretty big news. Dan: Yeah, we have got big news. Andi: Yeah, what is the big news? [Laughter]. Gee: No more a secret, I’m quite glad of that. Andi: This is a pretty huge story. Are you excited? Gee: Atherton Bikes, yeah, yeah we are excited. I mean like you say there’s been a lot of speculation. Everyone’s been trying to guess what we’re doing and we’ve been working hard over the off-season trying to get this up and running but to have the chance to start our own bike company and launch the… We’re racing World Cups on our own bikes, is yeah, it’s pretty incredible. Andi: I mean it’s always nerve-racking to race, but to have a bike with your name on it, as you hit the World Cup circuit, how are you going to feel do you think? Rachel: Well this is pretty surreal, it’s kind of the first, you know, saying it out loud and saying “Atherton Bikes”, it’s pretty crazy and yeah, it feels a bit surreal and I think we all, just for us, racing and riding on our own bikes, has always been a dream. So for it to finally be happening, it’s pretty mad. Andi: I mean the big question is why now? Why have you decided to start your own company now? Because I mean Atherton Racing was back in 2003 was it? Andi: And you know, you’ve been on the World Cup circuit for a while, you’ve developed bikes for other teams, so why this year? Gee: The nature of how you work when you’re racing World Cups and you’re sponsored by a bike company, you know, you partner up with a company, you start developing that bike with them. You kind of work really hard to say what you want, what you don’t like, what needs to be done, so you get that race bike as refined as possible and then you race that bike for as long as the term with the sponsorship is going and then if you move sponsors it starts again. So like you say, we’ve done it quite a lot, we’ve done it quite a few times, we’ve all raced World Cups for a long time so we’re very good at knowing what we wanted and it’s always been on the back burner. I was just talking about how nice it would be to be doing this but developing a bike that we were doing ourselves and we got to the point where we were lucky enough to be in the situation where we could do that and we had options and partners and these opportunities to do it and for us it was a no brainer. Rachel: I mean we’ve been so lucky to work with some amazing companies and have the opportunity to develop bikes and this kind of just felt like the natural next step really. Andi: Dan, how did the company develop and who are you working with for Atherton Bikes? Dan: I guess the partnership kind of started with Ed really, back when we rode for Giant, 2006 I think it was, and it was actually Ed’s first race and Dan Brown’s first race as well and it was a national track, which is actually where the bike park is now, right next to that, so kind of a meeting of all three worlds. And yeah, over the years me and Ed kept talking and we always kind of dreamed of building something together and I think Ed kind of went off his own way and formed a company called Robot with Ben and Andy and a few other guys that he’d been to university with and they were so kind of almost geeky in their approach to it, you know. Their kind of attention to detail on every single aspect of the bike was amazing and for us to see that and to see where they’ve taken that brand was pretty inspiring you know. And I think over the years they’ve definitely approached it as engineers rather than anything else and so yeah, I think the brand did well, but I think we kind of thought maybe we could put a different slant on it and come at it from a bit more of a marketing angle and a bit more of a race angle. And like Gee said, you work with big companies for so long and you develop stuff with them and we thought you know, could we potentially do that for ourselves? Andi: So we know Ed’s involved, so we know additive, manufacturing and those processes, carbon fibre bonded to titanium, we know all that’s involved with the bike, but who else is involved in bringing Atherton Bikes to market? Andi: Is this the guy from Dragon’s Den is it? 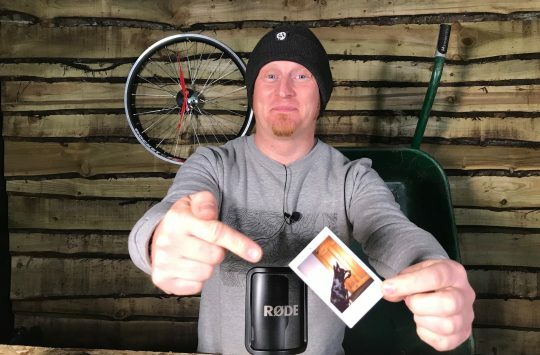 Gee: This is the guy from Dragon’s Den, yeah, so he knows his stuff and also is a real fan of the mountain bike world and rides himself, so it’s been great having him involved and he’s done a lot for us. Also Dave Weagle, the DW-link, which has been a massive attraction for us. From the first pedal of it you really feel how that link works, it’s a really impressive bit of design and it’s one of the reasons why we can come to this with a relatively short period of time to develop the bike and be confident that it’s going to be ready for the World Cup circuit. 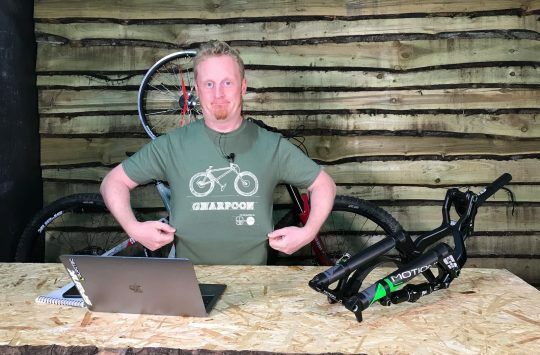 Andi: So we’ve touched on the fact that the Atherton downhill bikes use an additive manufacturing process, but Dan could you explain what that is to people who aren’t quite sure what it is? Dan: Well additive manufacturing is basically more commonly known as 3D printing and it’s basically high-end printing but with a titanium powder, done all in an enclosed system, in a machine. So basically the additive manufacturing process produces a base plate of lugs. They’re all built on kind of one block and then the guys take those out, they clean them up and then they bond a carbon tube into a double-lap shear joint and using a high-end glue and then that’s kind of all assembled as a bike basically. It’s quite hard getting the right tubes in the right place and being able to slot them all in. But Ed and those guys, they’ve got so much experience with this, you know from aerospace to Formula 1, they’ve got a huge wealth of knowledge and those guys are definitely the guys to have on board with this. Andi: With Ed involved in the additive manufacturing process, I guess there’s going to be stock sizes of each bike, but will there also be custom options too? Dan: Yeah there’ll definitely be custom options on the high-end frames that we’re doing but part of the reason we’re starting our own brand and coming at it from a World Cup perspective is that we’ve got those benchmarks in the bag, you know, what Gee rides for his winning bike, what Rach rides for her winning bike and so the public have got a benchmark almost to work from because you know, you give them a blank canvas and that’s a pretty daunting thing to try and come with your own bike so they can change the parameters a little bit of what these guys ride. But yeah, ultimately that will be available on the high-end stuff. Rachel: Yeah and I think you know, the thing about Atherton Bikes is that it is this kind of cutting edge technology, its customisation you know. So theoretically someone can come and order exactly the bike they want, the size, the geometry, all these things that are unique to that person and that’s where we want to go with it. That’s what we want to offer people. Andi: Rachel, could you tell me a little bit of how the bike rides, other than “it’s amazing, it’s the best thing ever”. Can we have some details about how the bike actually rides? Rachel: Well when I first got on it I couldn’t believe how good it is. Obviously, I’m going to say that but it blew my mind. The first thing I did was pedal down like a flat kind of rocky straight into the kind of downhill track and I couldn’t believe how well it pedalled. It accelerated so quickly, so efficiently, just got up to speed and I was like “Oh my God”, you know, it was amazing. And it’s such a fun bike. It makes you feel like confident and I think we all kind of had the same feedback. It’s such a fun bike to ride. It makes you feel like you can go faster, faster, faster. You know, you’re going as fast as you can and yet it wants more, it wants to be pushed harder and harder and it feels incredible. It’s such a grounded bike and that’s the first few rides and I was really blown away by it. Andi: So Gee, can you give me any specifics about the Atherton downhill bike? Gee: Yeah well it’s a prototype, you know that’s the main thing, it’s one of the first bikes we’ve made. It’s literally the kind of mule we’ve created. We’ve been working with the guys for quite a long time saying this is what we want, this is what we don’t want, this is what we like to ride and this is the outcome. And it’s a pretty impressive first ride really. For a first prototype, it’s doing the job pretty well. We’ve geared it around that kind of World Cup spec, so quite a slack head angle, nice long back end, things that you bounce around the car park and the bike feels a bit sluggish but when you’re up to speed on the World Cup track, absolutely charging. You know, you start to appreciate it, yeah. And like Rach said, it’s a fun bike to ride and these are all the things that kind of, those small specifics that a small change here, a small change there can make the difference between a bike feeling a bit twitchy and a bit nervous to certainly the bike being full of life, giving you that confidence and really this is what our bike does. Andi: …it looks really, really good, but will we see any like radical changes from this to the bike you first raced this season or is it pretty much going to look like this, but like you say, just a few tweaks here and there? Gee: …or like 10ml on the back end or 5ml on the bottom bracket, but I imagine you know, to the majority of people they’re going to look at it and it’s going to look very similar. I think that wasn’t always the case, we could have got this first prototype and it could’ve been this ugly, awkward beast that needed a lot of work done, but even from the first few rides out on it, straight away we could tell we were close to the mark. Andi: I have to say like when you rolled it out to us I was like that’s not what I was expecting. It looks very finished, I’ve got to say it looks finished. Gee: …you’re expecting you know, bits of scaffold, bits of Sellotape here and there. Andi: I was looking for the Airfix bits [laughter]. Gee: But like we said, the guys we’ve been working with have been doing this for a long time. This is our first time doing this, but it’s not theirs. They’ve made all the mistakes that you make. They’ve made all those errors that you make when you start a bike company and they’ve made them many times over, so you know, they’ve come into this with that vast wealth of knowledge that has allowed us to get so close to the mark on the first bike. Andi: Where are the Atherton downhill bikes going to be manufactured? Gee: All made in the UK. On the downhill bike that additive manufacturing, it needs to stay close to home. It needs to stay with the engineers we trust, with that process that we really know. It’s not something you can just outsource to someone that’s going to do it much cheaper because the quality of the product is so important to us. And the technology behind it, we know the group of people doing it, we know the guys really well and we know that they are good at what they do. So keeping it in the UK is very important to us. Andi: Okay, so we’re all excited. We all want an Atherton downhill bike, the same bike that you’ll be racing and probably winning on this year, so when can I give you my money? Rachel: Yeah I mean the idea is to have the bikes ready to come to market sometime this year, as soon as possible, ideally. So some point during the season we’re going to have the bikes available for people to buy and to get on and ride. So yeah, watch this space. Andi: When I want to order one, where would I go to buy one? Rachel: Well we think that the customisation and the technology, the whole thing about the Atherton Bikes is kind of pushing it more directly to the consumer. So we’re going to be selling directly from the Atherton Bikes website, which for us is a massive plus. Straight to consumer, that one-to-one chat with the technicians, with the engineers, really getting involved in the bike that you’re buying and that’s kind of a massive plus for us. Andi: And actually that makes a lot of sense. I mean with such an advanced bike and everything, you don’t want any mixed messages. So to come straight to you guys, get the correct answers there and then, it’s just better for the customer, isn’t it? Rachel: Yeah exactly, and like Gee and Dan said, you know, the team around the bike you know, Atherton Bikes, it’s got some amazing people involved and you’re basically buying into that knowledge you know, those guys are available for you to talk to. You might get one of us on the end of the phone if we’re not at a race. So you know, anything could happen when you ring that number. Andi: That would be pretty cool. Another added reason to buy an Atherton bike hey. Dan: Or a reason not to. [Laughter]. Andi: So what about availability Dan? Are these bikes, the Atherton bikes, only going to be available in the UK or can anyone in the world buy one? Dan: No, absolutely not, you know, they’ll be available all over the world and I guess that’s coming from the racing angle again, you know, we race all over the world and there’s talks of doing some races in Chile and stuff and some street races and trying to really get this bike out there and get it into the public eye. Well, I think that’s what drew us to starting our own brand in the first place really you know. We’ve got a bike park opening this year and for me, it was really important to turn up at the bike park and see people on our frames. That’s the reason that I feel we started a brand really. It’s not about producing a high-end brand that only a few select people can afford, you know. I want to see as many as I can on the uplift, you know because that’s the bread and butter. That’s where I feel the real industry is, is in the car parks of the bike park. That’s where people talk about the bike, they talk about how they ride, they talk with their mates about what happened that weekend. For me that’s mountain biking, that’s what’s real about it. Andi: I’m sure a lot of people are going to be talking about Atherton Bikes. So yeah, I mean we can’t wait to see it. We can’t wait to see you guys racing. And yeah, good luck. Congratulations and good luck. Andi: And Happy Birthday as well. This was a great birthday gift for you. Dan: I’d forgotten that. [Laughter]. We still have another hour worth of video to go through so watch this space for a further exclusive insight into Atherton Racing. If you have any questions about Atherton Bikes, let me know in the comments below and I’ll answer them as quickly as possible. You know what fair play and good luck to them. I hope it works out. exciting times, Good work. British investment – who would have seen that coming in our present Brexit state. I guess it was always on the cards at some point. All Part of preparing for life after Downhill ! Very exciting and I hope it goes well for all involved. Is there any place where we can see the whole bike? this was so unexpected. Great news for the Athertons and to the guys at Robotbike. Can’t wait to see the finished bike!